Male ‘cant’s’ are most likely to be called David, whereas the female equivalent’s most common name was Sarah. Both of them worked in HR, while they were both seen as being in their mid-40s. The obstructive worker was seen as being more likely to be a woman, according to 54% of the people surveyed, while 31% said she was a brunette. The male can’t was most likely to have grey hair. Names are unlikely to have a major bearing on someone’s personality, but if there’s a David or Sarah in your office and they’re acting a little strange, you may have reason to feel a little suspicious! HR workers in particular appear to be in the firing line for colleagues’ scorn, but why are they seen as most likely to upset the applecart? In any business, the HR department is needed to keep everything ticking over. However, this can be easier said than done, with many HR and admin workers under extreme pressure to get everything done on time. When they do get something wrong, they tend to be in the firing line from colleagues in other departments. 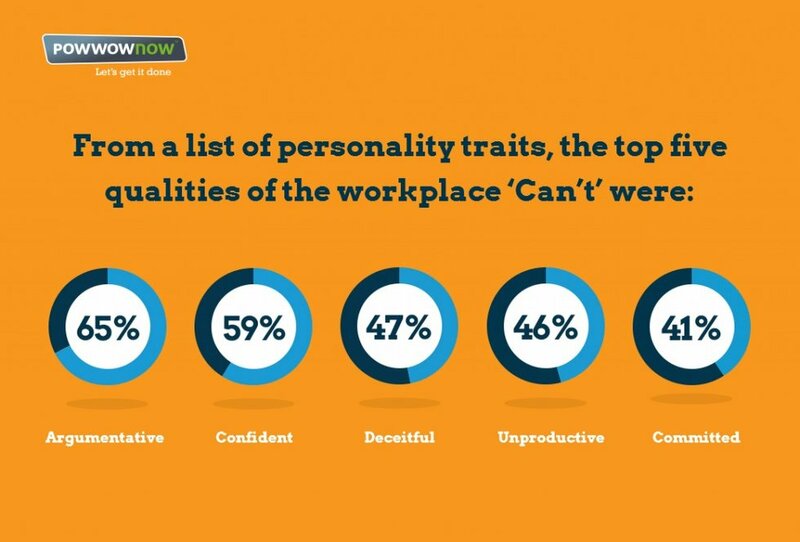 Any workplace ‘can’t’ working in HR is inevitably going to make things more difficult for everyone. Holding things up will make them universally loathed by colleagues, thereby making it far more difficult for them to progress or get what they want from their job and career in the long-term.